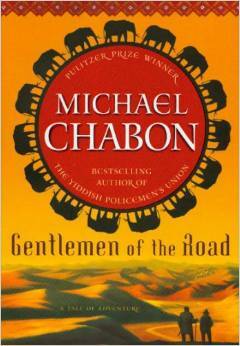 Gentlemen of the Road: A Tale of Adventure, Michael Chabon, Del Rey, 2007, ISBN 978-0345501745, 204pp. This “serial” novel (it was originally published in installments) by Michael Chabon is a great adventure tale (it says so right there in the subtitle), but is a bit light for Chabon, whom has taken some light themes before and worked them into something much much more (the best being The Amazing Adventures of Kavalier and Clay). I get the feeling that this was as much of a writing experiment for Chabon as anything, to prove to himself that he had the skills to match Charles Dickens (most of whose novels were published in installments). The original title of this book, “Jews with Swords,” gives you a bit more of an insight into it, as in his other books, Chabon provides insight into a bit of history that most are unaware of (this time, 1000 AD) and also gets to enjoy a slight parody of the old “Road” movies of Bob Hope/Bing Crosby as well as the swashbuckling adventures of Errol Flynn. I kept wanting something a little different–something more fantastical or comic, something like Barry Hughart’s Bridge of Birds, for instance–and this one never quite pulled me in.